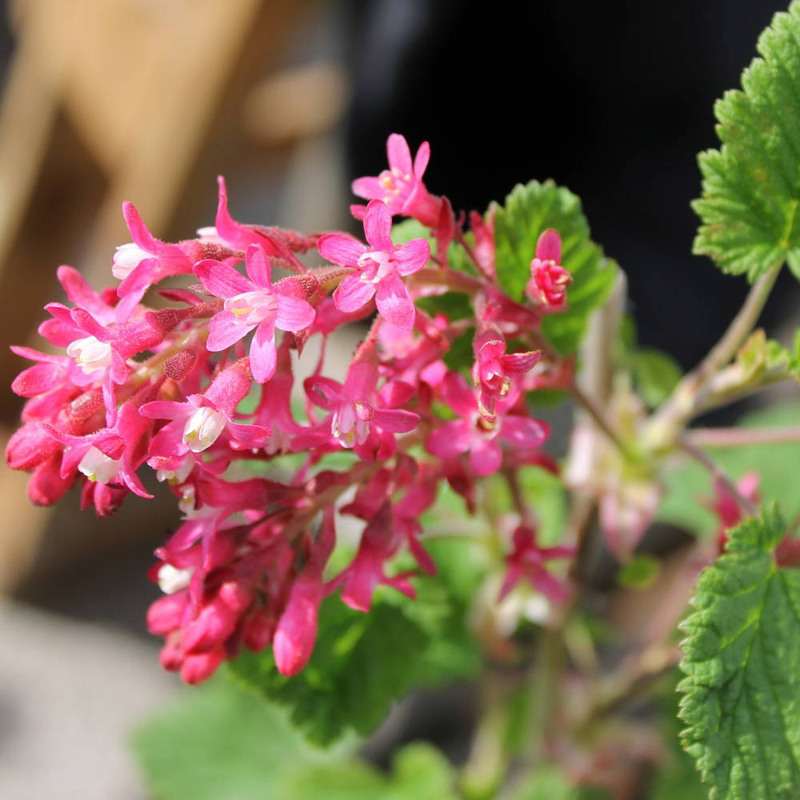 Flowering Currant (Ribes Sanguineum) is deciduous and its flowers appear before the leaves. The flowers are formed in showy crimson pendulous highly scented clusters often smothering the plant and are an excellent early nectar for bees. They are followed in Autumn by blue/black currant like fruits with a white bloom which are suitable for us to eat. Its tooth serated leaves have a strong scent when crushed.  You can view our whole collection of edible hedging plants here. Pot grown plants are available all year round. Bare roots are only available from november to late April/early May. Planting distance is very much a matter of choice. For bare roots, 3 plants per metre is adequate, 5 is good, 7 makes a dense hedge quicker. Smaller plants are generally planted at higher density than tall plants. Pot grown plants have recommended densities shown but you can increase or reduce this density dependent on your level of patience. 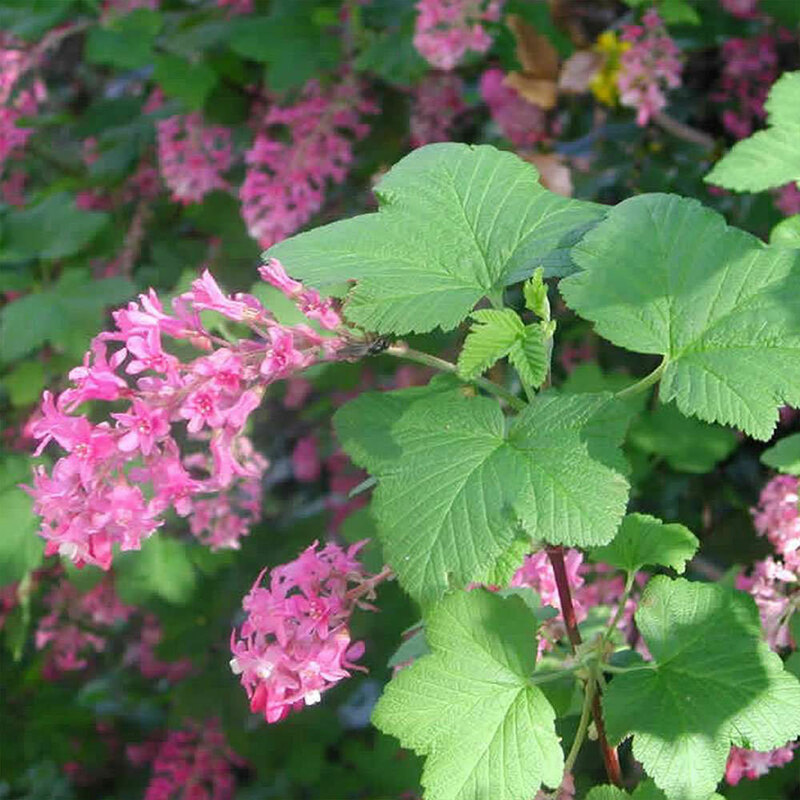 There is a view that Flowering Currant should be pruned in late summer but we find it performs better as a hedge if you cut back flowering stems to a strong pair of buds immediately after flowering.